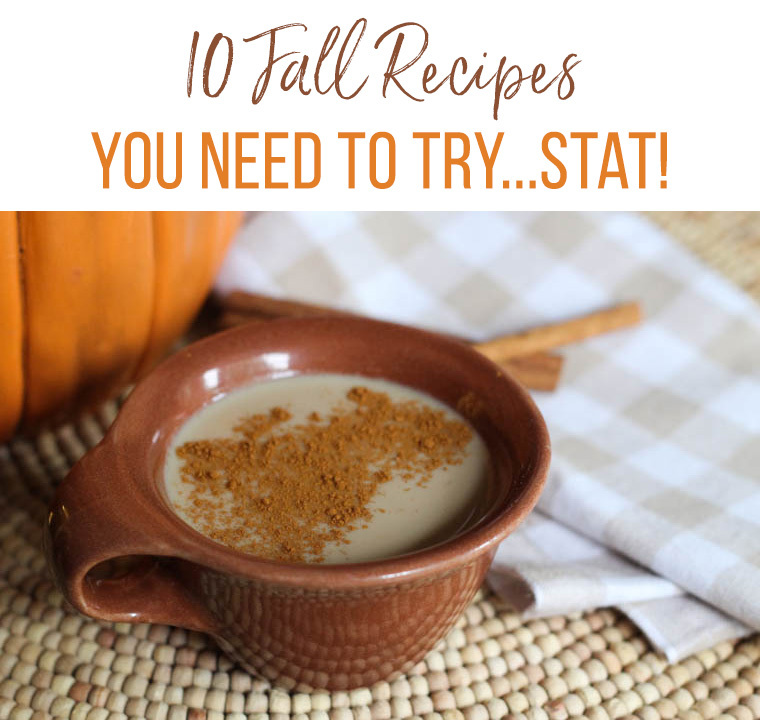 10 Fall Recipes You Need to Try–Stat! Despite the 90 degree temperature days in mid-MO this past week, the leaves are starting to turn and my yard has the beginnings of an epic leaf pile. Fall is officially here. While I’m admittedly not a huge fan of fall–mainly because it means winter is coming–, I am a fan of all things pumpkin, apple, and root vegetable (aka, autumn food favorites). Over the years, we’ve had many fall-inspired recipes rise to the top as favorites on Thriving Home. 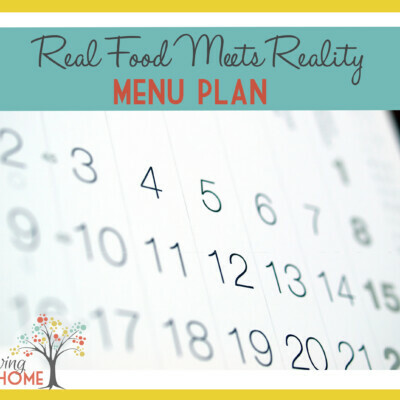 Today, I am sharing 10 recipes you should definitely give a try this autumn, in this humble home cook’s opinion. While you’re at it, you may want to peruse some of these easy Halloween crafts for preschoolers, try a fall porch make-over, or make a few of these healthy Halloween party treats. As long as we can’t stop winter from coming, we mind as well enjoy fall to the full, eh? 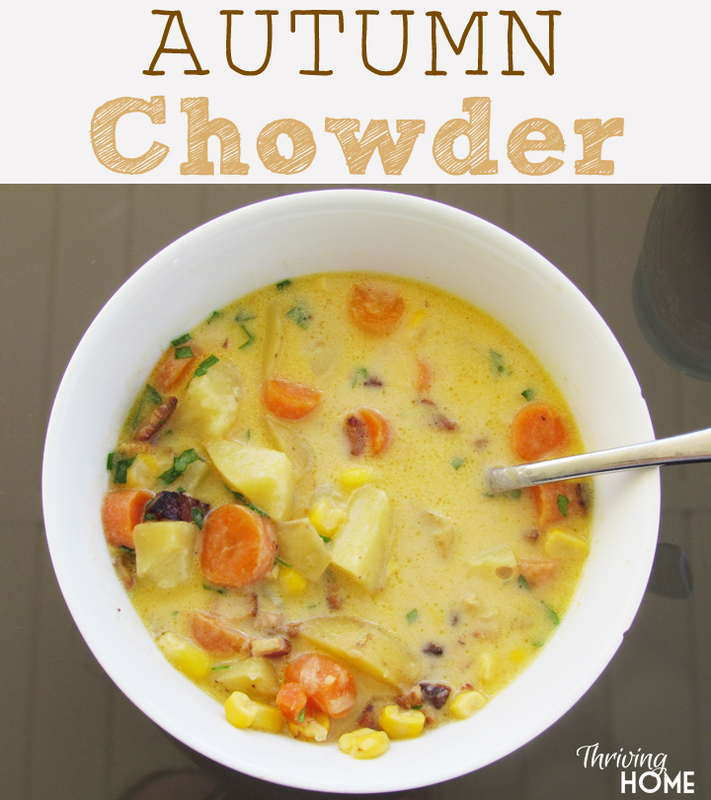 Autumn Chowder (freezer-friendly) – This creamy soup is comfort in a bowl that the whole family will love. I make it every. single. year. 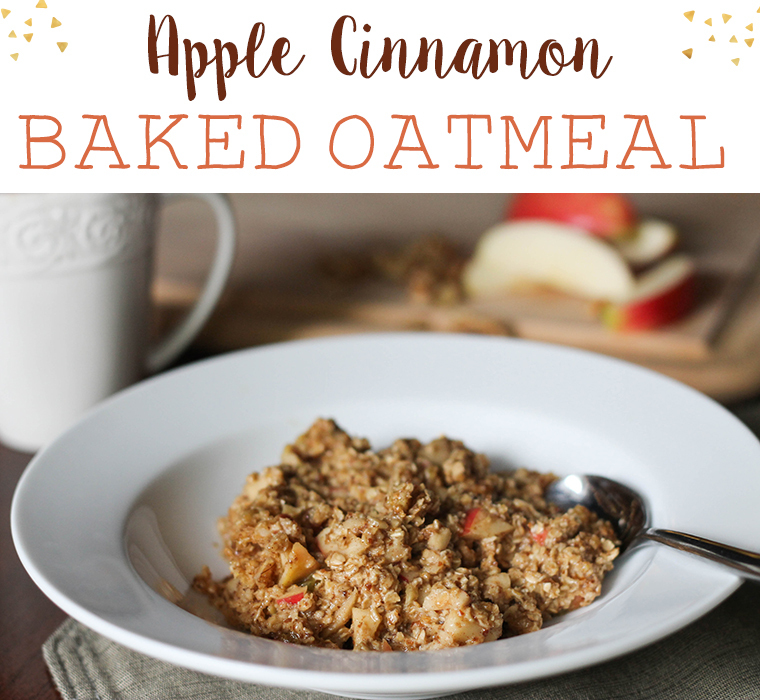 Apple Cinnamon Baked Oatmeal (freezer-friendly) – This fall-inspired baked oatmeal is hearty, healthy, delicious, and fairly adaptable to whatever ingredients you have on hand. 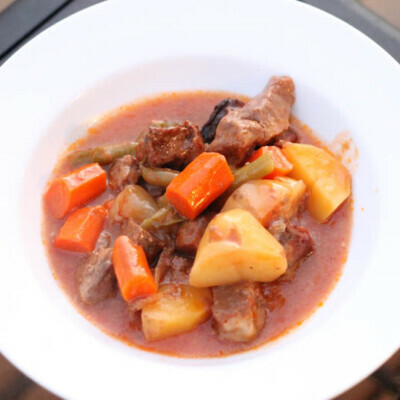 Plus, leftovers keep well in the fridge for several days. Serve it up as a tasty start to your day or as a “breakfast-for-dinner”, along with bacon and a fruit salad. 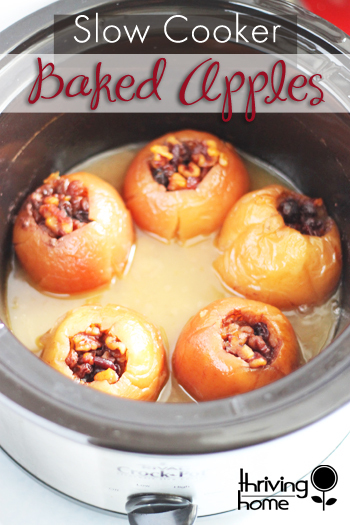 Slow Cooker Baked Apples – These are gorgeous and will make your house smell like a fall through and through. Try these for dessert one night, maybe with a little vanilla ice cream on the side. Crock Pot Pumpkin Spiced Latte – This has been the #1 fall recipe on our site for years. If you’re hosting a crowd, make a big pot of this delicious, whole foods version of the Starbucks drink. 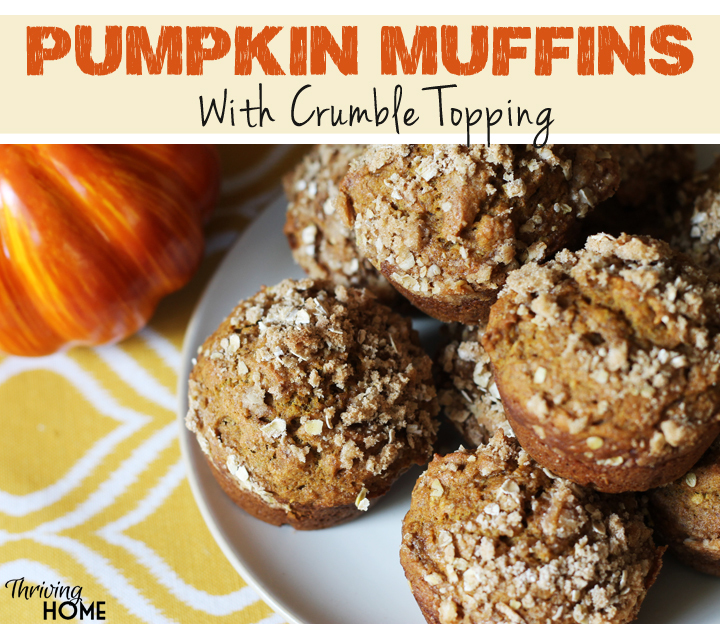 Pumpkin Muffins with Crumble Topping (freezer-friendly) – Not only are these filled with whole grains and a vegetable, but they have a complex flavor–thanks to all the fall-inspired spices–that will please adult and kid palates alike. Ironically, I’m eating one of these right now as I write this post. Sorry, I’m not sharing with you, because I’m rightly selfish when it comes to these bad boys. 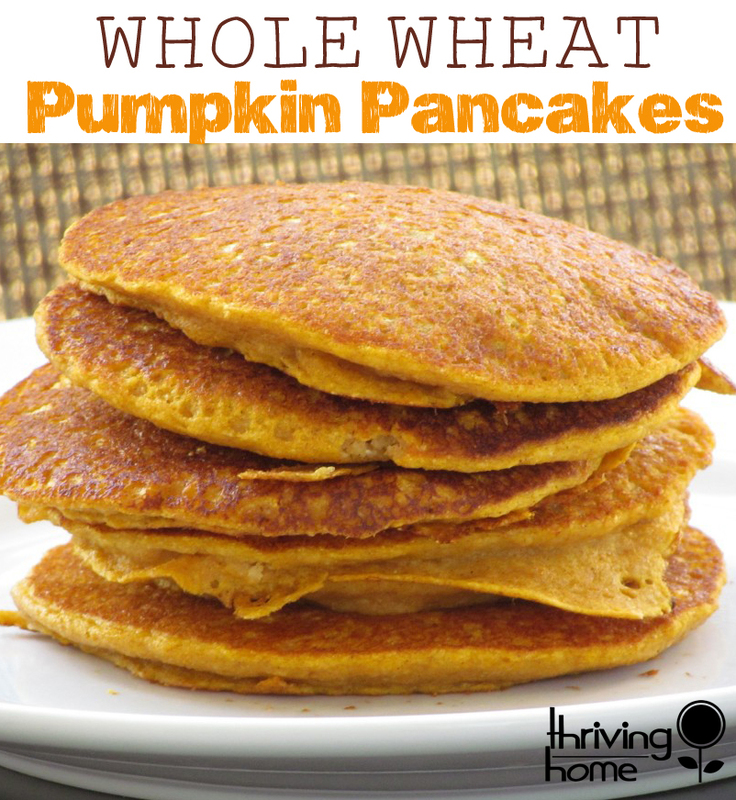 Whole Wheat Pumpkin Pancakes – This is my go-to, year-round pancake recipe. They are somehow light and fluffy and yet still nutritious. My family loves these! 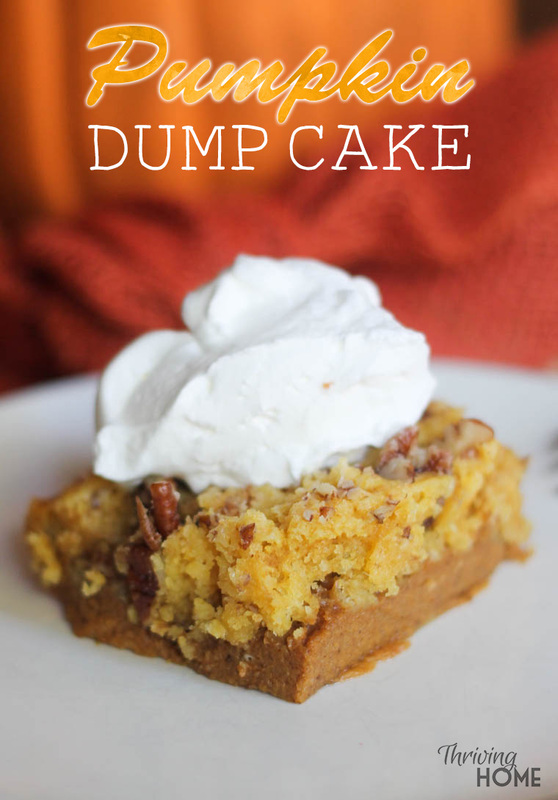 Pumpkin Dump Cake – Polly is the resident dessert queen of our pair, but this is one dessert that even I can make and that people always ask for the recipe. It’s easy and perfect for a fall gathering. 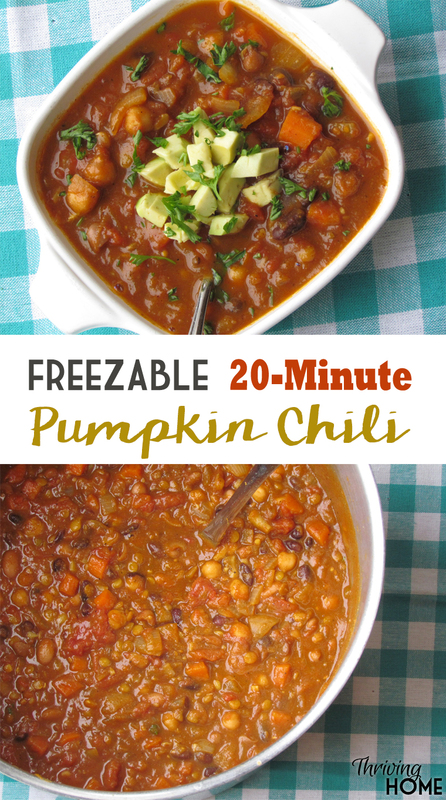 20 Minute Pumpkin Chili (freezer-friendly) – No meat needed here! With the amount of veggies, beans, and complex spices in this recipe, you will be licking the bowl clean and wanting more. And hey, you can have more, because this is totally good for you! Oh, and hey, it only takes about 20 minutes to make. Score! P.S. Another home run chili recipe on our site is Slow Cooker Turkey Chili with Black Beans and Sweet Potatoes. It’s a winner every time. 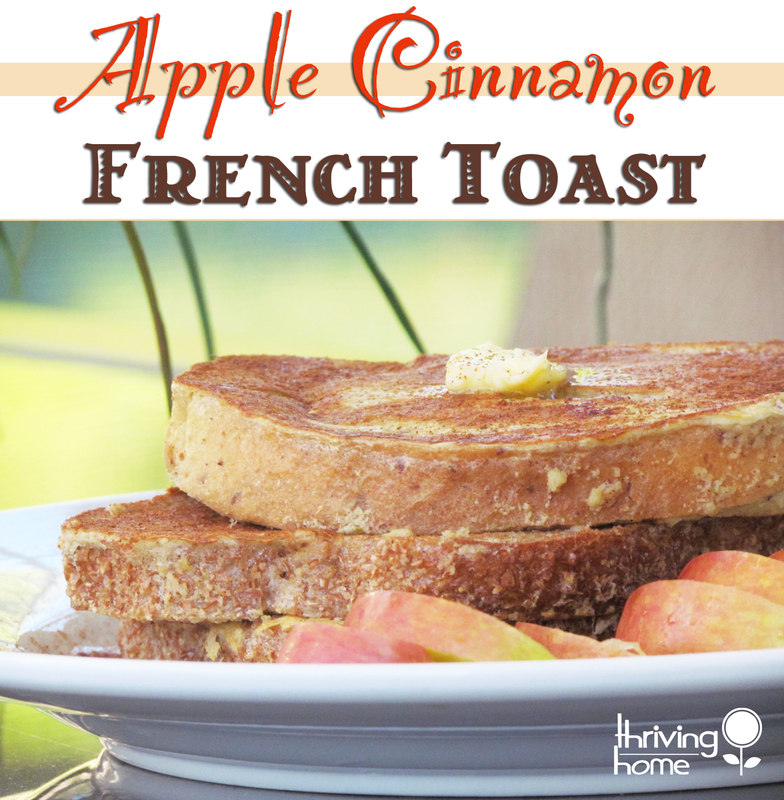 Apple Cinnamon French Toast – This recipe is a great way to use up apples that are towards the end of their shelf life. So simple and incredibly delicious and healthy! 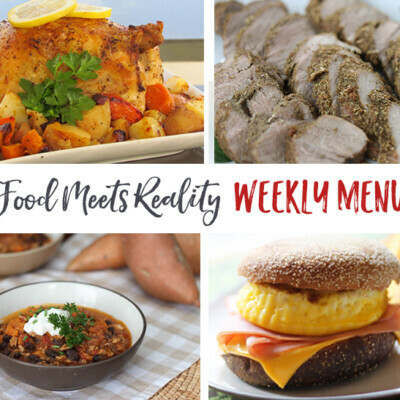 Or try our Sweet Potato French Toast or Pumpkin French Toast for a twist on this basic recipe. 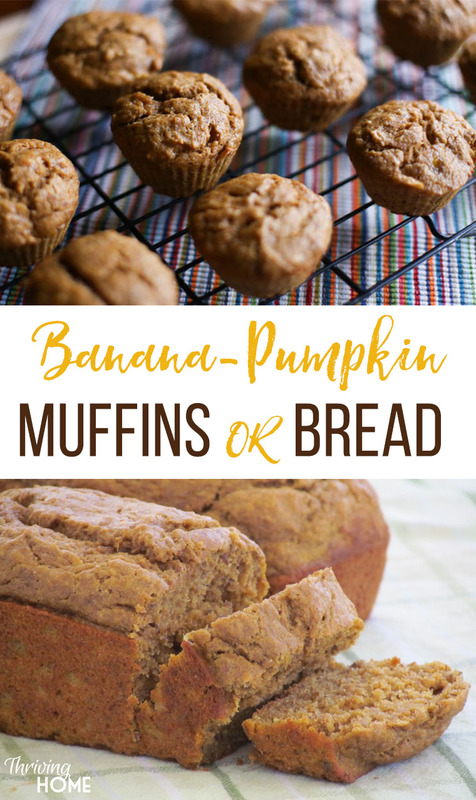 Banana Pumpkin Bread or Muffins (freezer-friendly) – I make these regularly as a freezer breakfast or snack option. 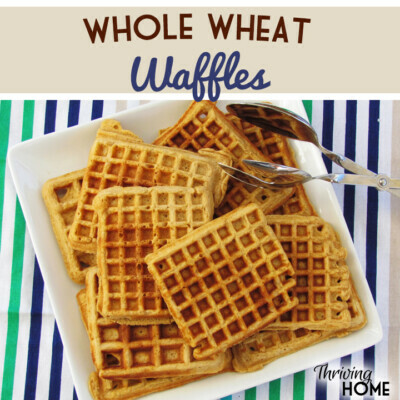 They are packed with whole grains, a fruit and vegetable, and don’t last long around here. Want to try more pumpkin recipes? Check out this list of “must tries”! These are awesome recipes! I really want to try the apple cinnamon french toast – that has to be incredible. 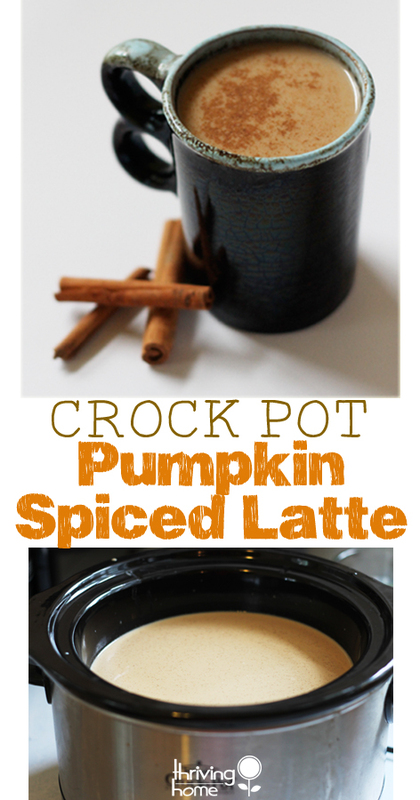 Going to try the crockpot pumpkin spice latte among a few others! Thanks again! We, too, are in Missouri – southern Missouri though. We have had the higher temps and humidity too. I am ready for Fall as I love Fall! Thanks, Lynn. I hope you enjoy those two!